So I’m back from my Canadian Adventure and over the jet lag (mostly!) it’s time for my big post-Holiday, image heavy round up! 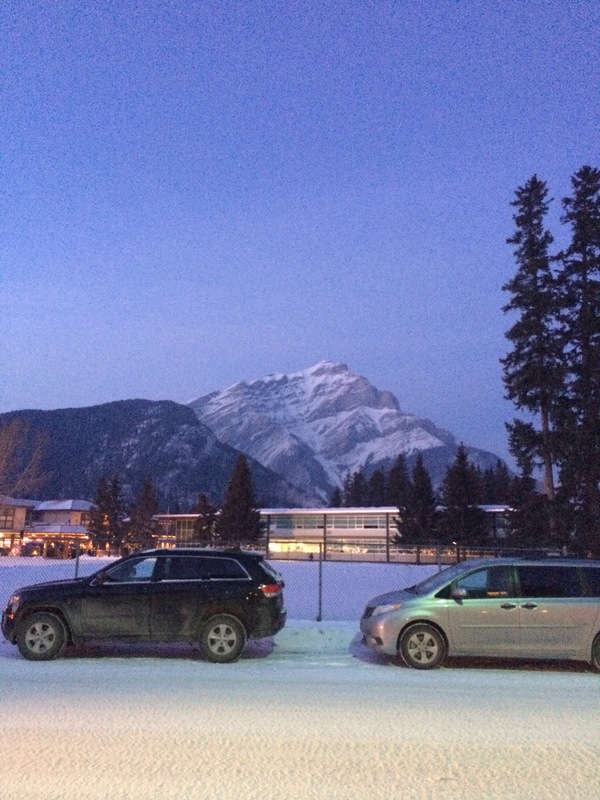 So, this is the view that greeted me when I arrived at my sister’s apartment in Banff, Alberta. That’s Cascade Mountain… I think! Pretty snazzy, huh? The building in front in the High School. That’s their ice hockey pitch out front. Uh huh. All the Canadian stereotypes? Probably true! And they are SO POLITE! This is going to get pretty long but this place is STUNNING! I’ve been taking advantage of the winter months to finally get to work on some construction projects I wanted to get done in the garden. I find it so depressing at this time of year, the wheel has turned and spring is on its way but the plants are still in their sleepy winter mode. I can’t wait for the place to be green and blossoming again and so my thoughts turn to the coming growing season. 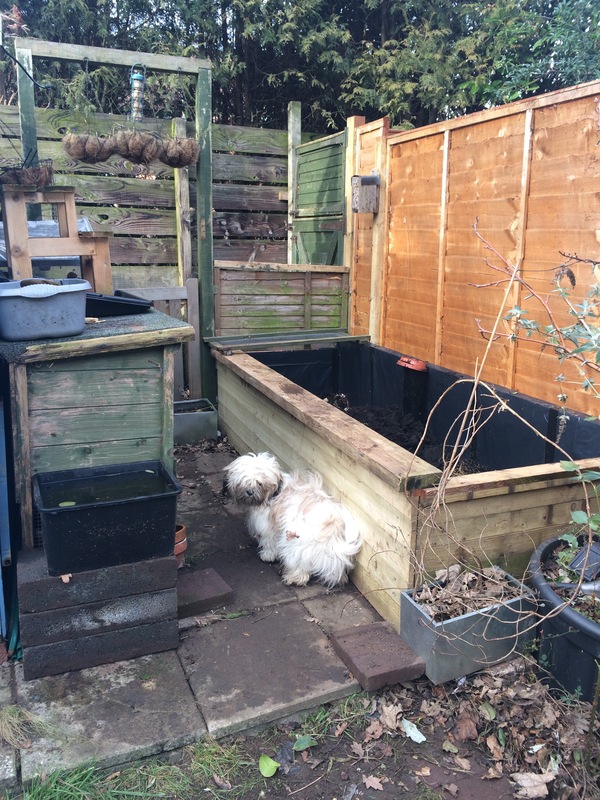 My big project this winter has been to construct a big raised bed for veggie growing! I wanted a raised bed for a lot of reasons, and it’s a huge one for another bunch of reasons! First and foremost, I want to grow my own veggies this year. I tried my best last year but the little space and sub par growing conditions I had available meant that it was basically a complete wash out. 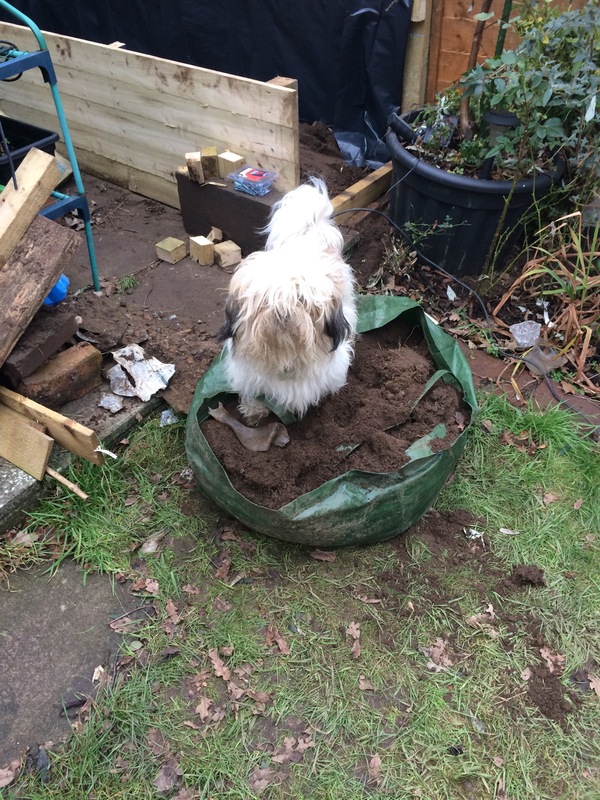 Now, you may think it would be easier to just grow veggies in containers or the ground… let’s just refer to Exhibit A in that picture above, oh yes, the small, fluffy vandal! I have given up trying to stop him from eating the herbs, mostly because he smells FANTASTIC when he finishes! But veggies are a different matter, I don’t want them trampling by little furry feet. 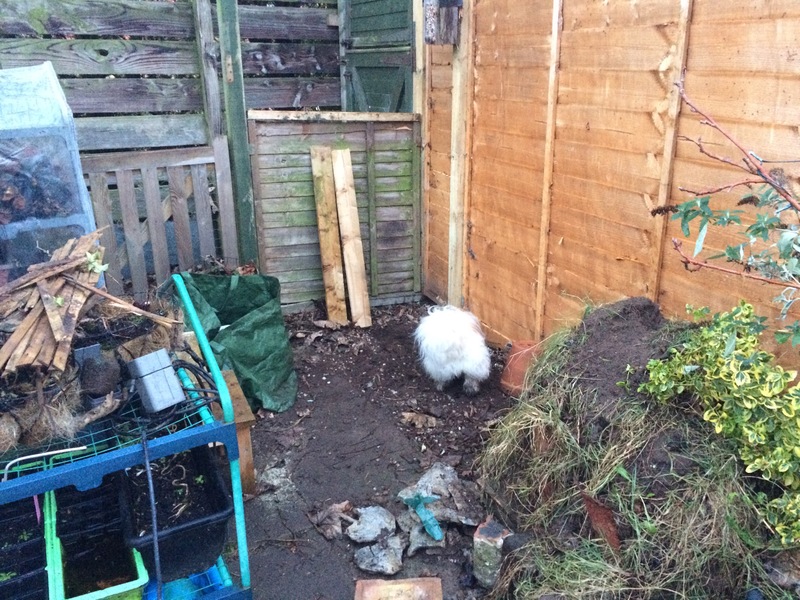 The ground I had to spare wasn’t really going to be suitable for growing anything at all without an awful lot of work, there was gravel mixed in with the soil, some random blobs of concrete, all sorts of rubbish! By putting the growing soil on top of this mess after a bit of a tidy up it means I am in control of the condition of the soil from the get go. The grass I had dug up to make the flower border last year had turned nicely into loam and could be moved across to fill in part of the bed. To further improve the soil condition I’ve installed a worm tower (plastic pipe with holes in) which will be perfect to dispose of the small amounts of vegetable waste I produce and inject some goodness straight back into the soil! Raised beds also make it a lot easier to get at and maintain your plants, this makes all you rmaintenance much easier and if it’s easier you will be more likely to stick with it and make it work, I know myself! I’m just that bit lazy! That’s not to say that this hasn’t involved a lot of work. I am not a natural DIYer. I have had to learn and guess as I go (and phone my dad for advice a lot too!) Wickes is open nice and late, I’ve been hanging out there a lot recently! I was lucky enough to get most of the wood for this project free from skips in my area. The only timber I purchased was for the long front side as I needed nice, uniform planks. Those 5 planks were ~£15 from Wickes and look great! I used the existing fence posts as anchor points for long batons, making sure not to attach anything to the fence panels as these may need replacing in the future, the posts are in for the long haul though! Only 2 sides are solid wood, the others have a baton top and bottom and the plastic lining is stapled around the inside to form the walls, which are supported, but not dependent upon, the fence panels. I assembled the long front side separately (making certain I had all of the measurements correct, and left room for joining it all together!) and then moved it into position and secured it to the fence post. Then the short solid side went in with each plank slotting in and being screwed into the fence post and the corner post on the long side. I hope this will be a nice, secure, stable arrangement. I definitely tried not to cut corners and do things properly as I want this bed to last a long time! In order for this to happen I also had to work on replacing some missing fence panels and securing the back of my garden, we have a narrow access to allow people further down the row access to their gardens and I had taken down the old, rotten fence panels months ago with a view to replacing them with new ones… the budget wouldn’t really allow for that right now so I ended up bringing back the old fence panels (which, thankfully, I had stashed elsewhere!) and cutting off the tops and bottoms and replacing the arris rails to make new, half height fence panels. 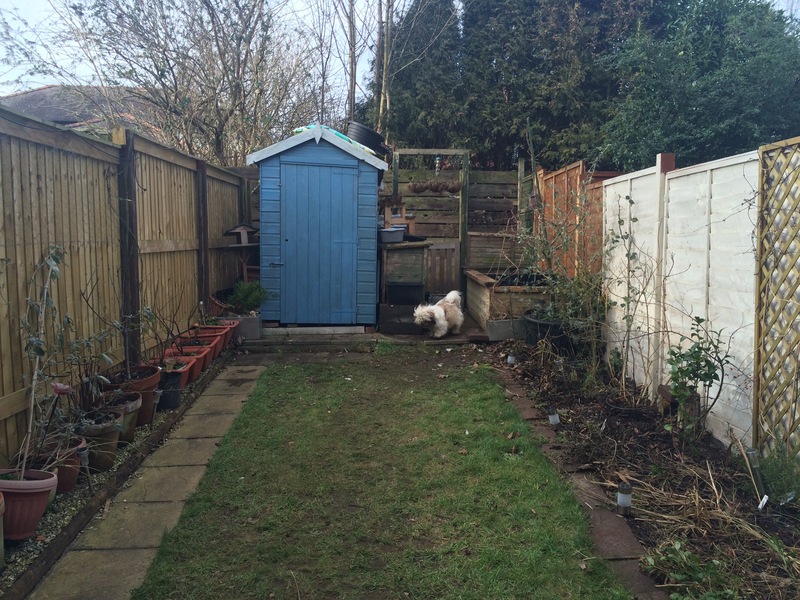 This means that I am now confident that my garden is doubly secure for Darcy. I have gates across my section of the access but my neighbours can be a bit rubbish about shutting both gates. 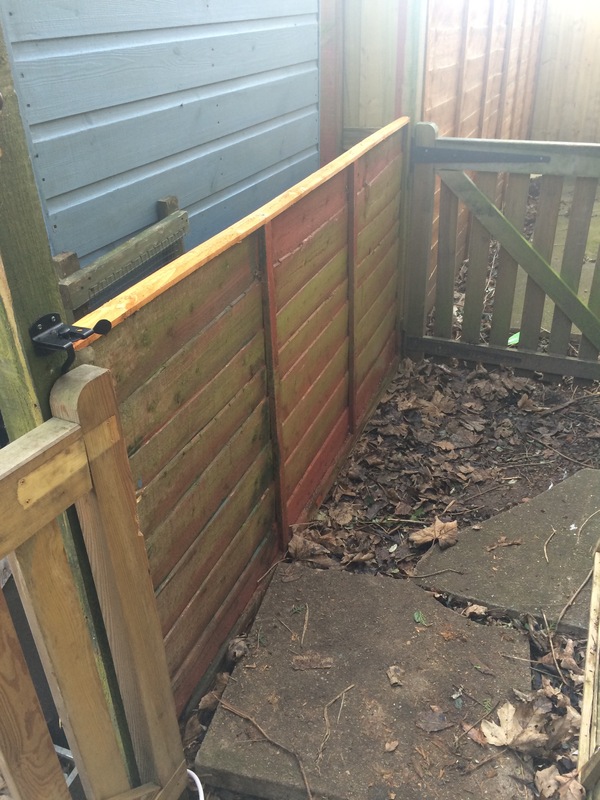 In case anyone else is wondering, yes, it is possible to saw down and re-position a 6′ fence panel on your own with little to no previous DIY experience. Would I recommend it? No. Is it possible? Absolutely! Did I nearly die/fall off step ladders/ saw my own hand off / swear more than is appropriate for any young lady?… May be? So, now I have the back part of my garden almost as I would like it. I want to move the shed round but the manpower for that is tricky to organise so that’s on hold until BBQ weather comes along and I can bribe helpers! Until then there’s plenty to keep me busy! Once the weather warms up I need to finish painting the fences and I want to plant some clematis on the rear fence to bring a bit more greenery into the view. The pots down the side of the garden need a bit of a tidy up too, it never ends but I’d be awfully bored without a project to go at! Quick and simple for this one! I get very cold hands and feet. Now, I would love to simply wear 37 layers at all times but I need my hands! There’s nothing worse than being wrapped up all toasty warm only to find a gap around your wrists, letting in that arctic chill! So, a simple solution! Arm Warmers! 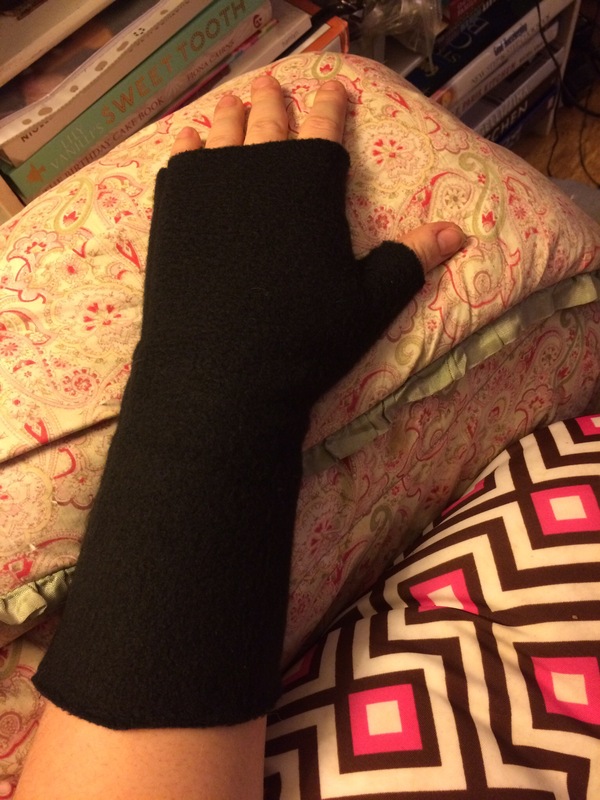 These are pretty freestyle, you draft the pattern off your own arm so they are sure to fit! Very simply, you get your chosen fleece. You place your arm on it and trace round it. Add ~1″ to this outline. (If you have larger arms then you may wish to add more. You can measure the circumference of your arm, halve it and as long as the pattern is that width you should be fine!) Decide where you want the arm warmer to end on your fingers/hand/arm and thumb and draw a line across. Cut out 4 of this shape. Pair the fleece shapes up, pin them if you like, then sew 1/4″ away from the edge along each side and the V between the thumb and fingers. Leave the ends open! Trim any loose threads and the edge of the seams to tidy up, turn them right side out et voila! Arm Warmers! These honestly did take me 10 minutes from start to finish and that was inventing it as I went along. They’re super quick to throw together and so very useful in the cold weather! This recipe is easy peasy lemon squeasy and DELCIOUS! I have an unholy love for cauliflower and it all started because of this recipe! So quick, so simple, so delicious! It makes an excellent side dish for any curry, or even just with a roast (with cumin or without,it’s up to you!) I confess, if I’m making this and there are leftovers I often just snack on this coldas I’m passing it in the kitchen, it’s so good!!! 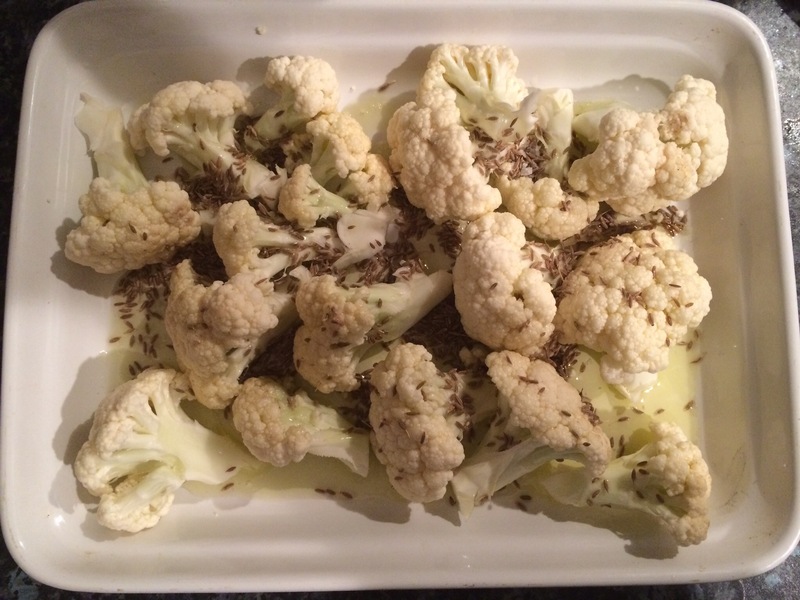 – Chop the cauliflower into florets. – Put it in an oven proof baking dish. – Scatter with cumin seeds and a pinch of sea salt. – Roast for 30 minutes until browned. 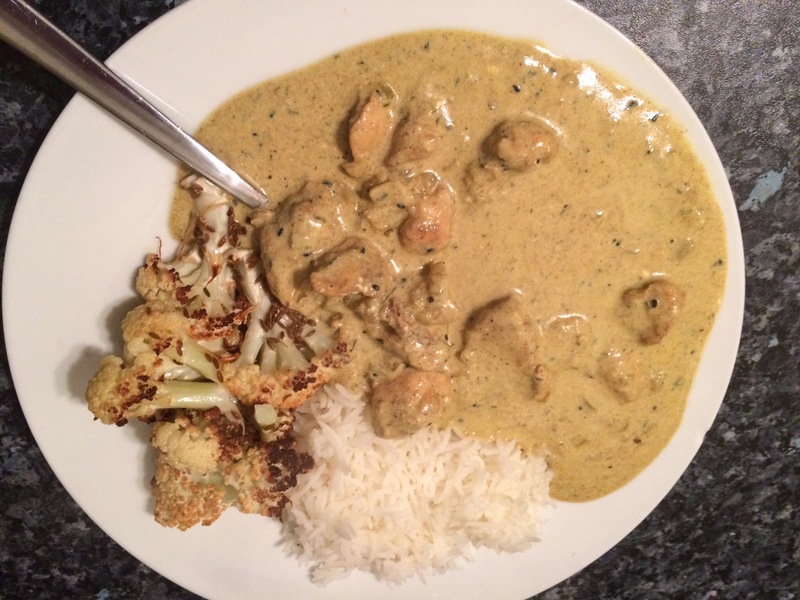 This creamy, low fat, chicken curry is so comforting. It’s not too spicy, just a little bit of warmth to buck you up after a cold day! The creaminess comes from Greek yogurt, after that it’s simply onion, spices, stock and chicken breast. 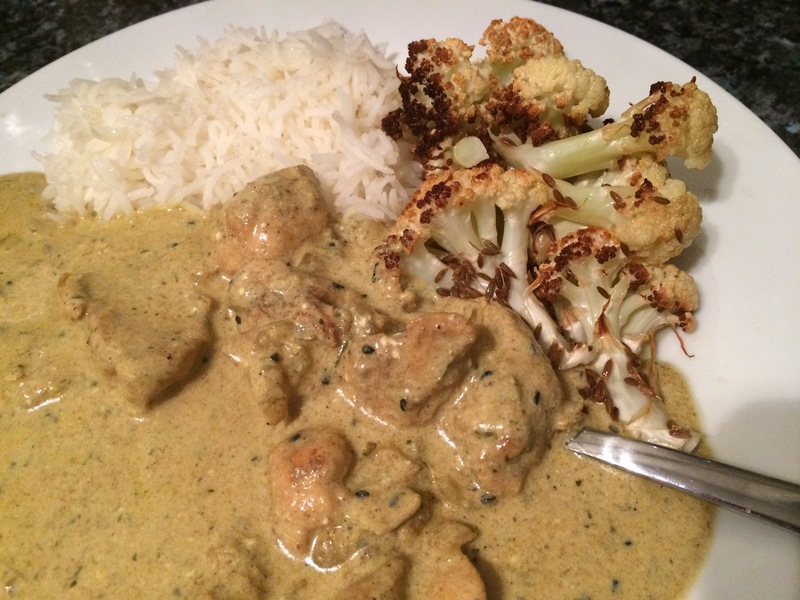 It’s not too tricky and you get so much flavour for minimal effort! – Heat a splash of oil in a large, depp frying pan. – Add the onion and cook until soft. – Add the spices and cook, stirring for a few minutes. 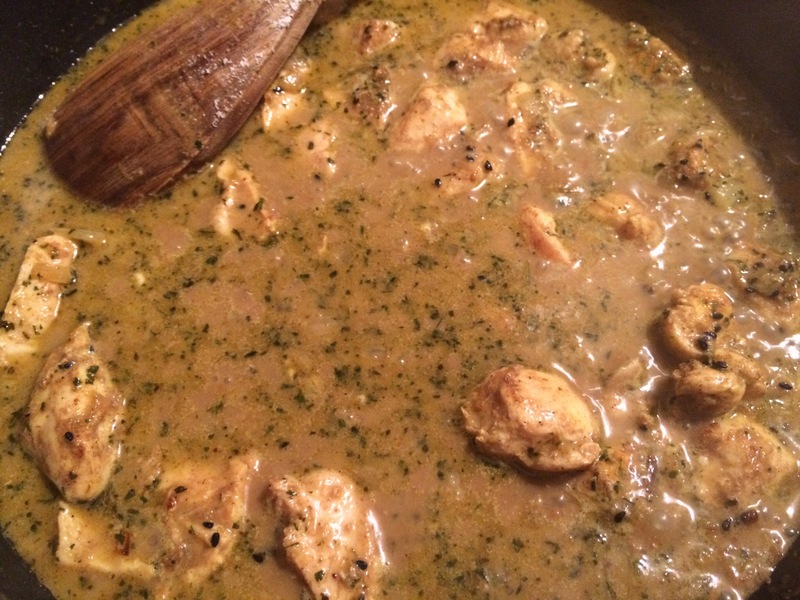 – Add the chicken and cook until the chicken is just white. – Add the stock cube and water. – Bring to a simmer and leave on a low heat for 20 minutes. You want the liquid to reduce until the spoon leaves a trail through the sauce. – Remove from the heat and stir through the yogurt. 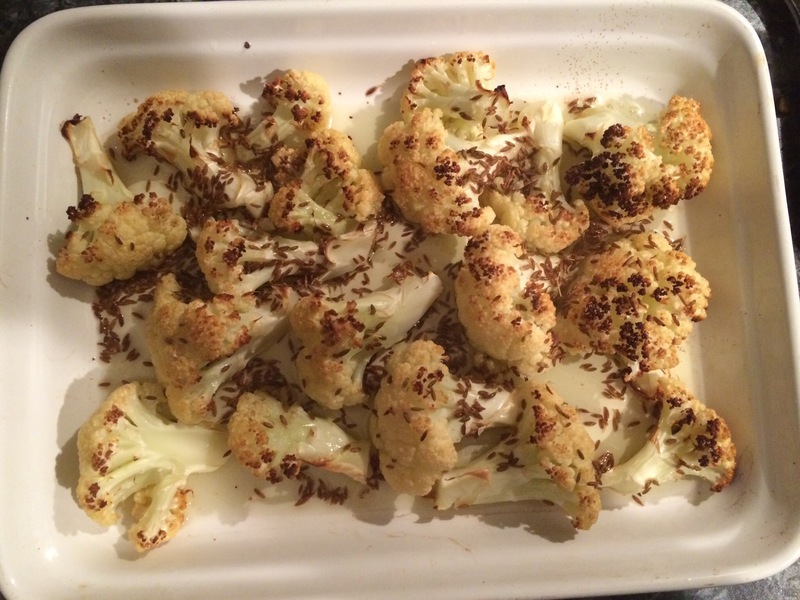 – Serve with rice and Cumin Roasted Cauliflower. Something a little different today! 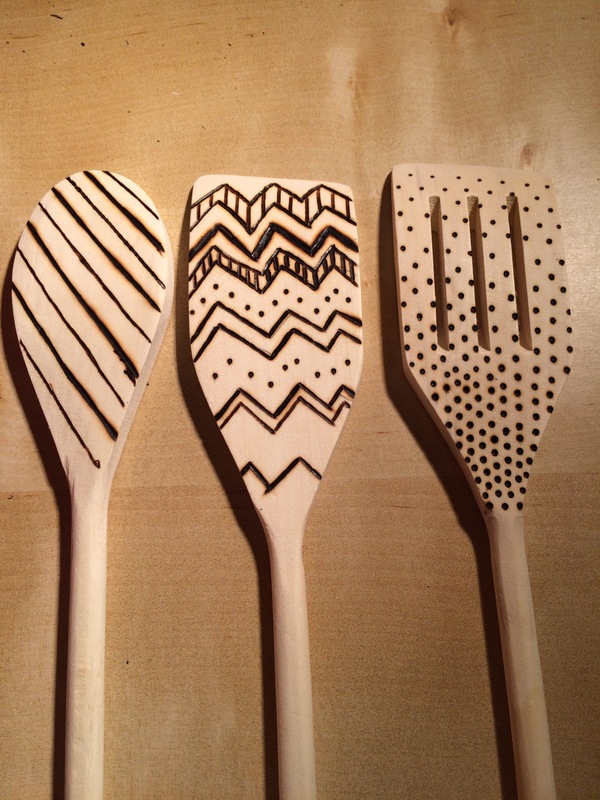 Instead of food here are some easy to make crafts for your kitchen! I made these for Christmas gifts for a friend and her kids and I think they went over well! 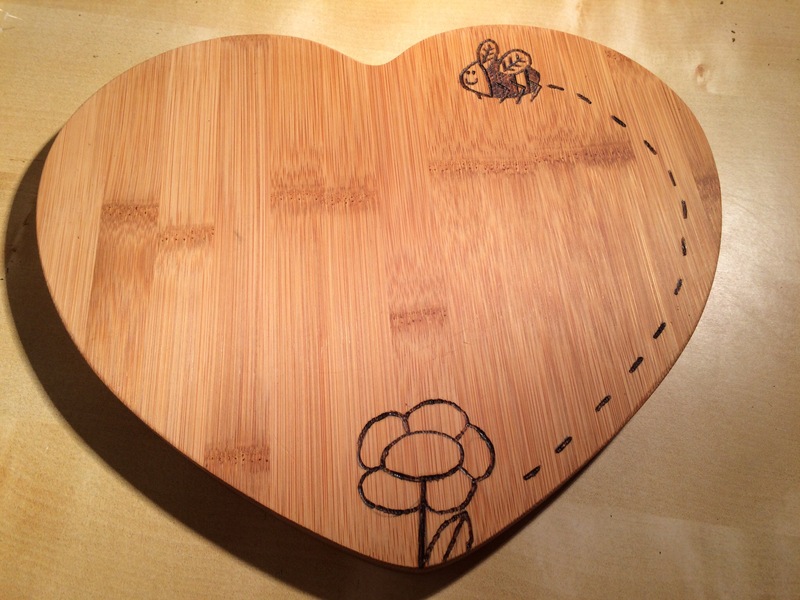 I made this chopping board for my mum and she loved it! I even personalised it even further on the back by signing it! And for myself I just had fun playing around with making different patterns! The trick? A soldering iron! I had bought an £8 one ages ago as I wanted to fix something (still in the cupboard, oops!) 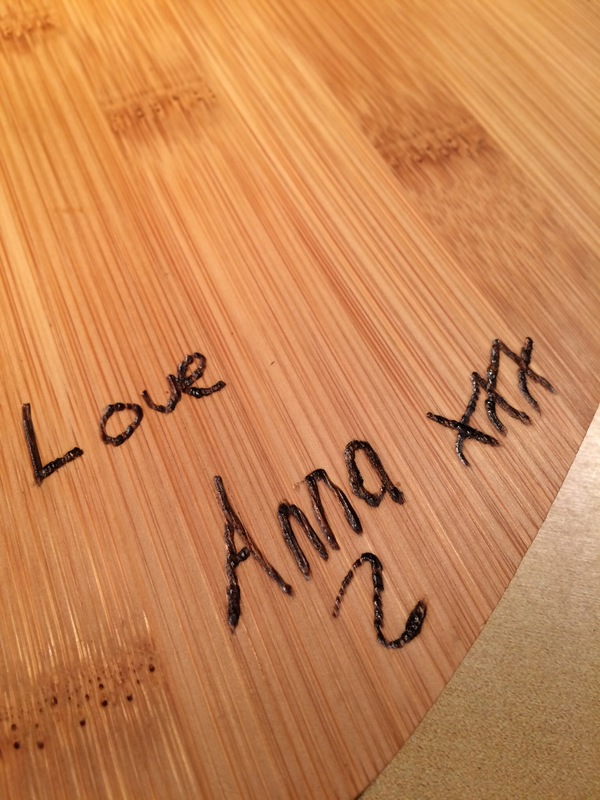 but I realised that it was perfect for burning patterns into wood and bamboo. 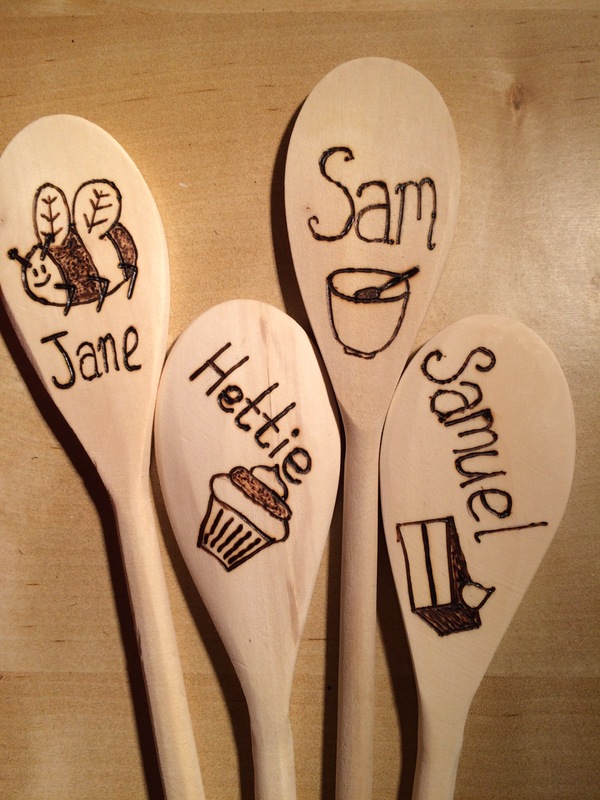 These are all just basic wooden spoons (and a bamboo chopping board) that I bought and then sat and sketched on with my soldering iron! Just make sure that you are buying suitable products. I found some beautiful “wooden” placemats but on closer inspection the “wood” was paper thin laminate and would not have been safe for food preparation. If you’re less confident on your freehand then simply sketch out your design on the spoon lightly in pencil first then start drawing it in with the soldering iron. The longer you hold it on the darker, and deeper the etching will go. Have fun with it! If you’re a first time skier it can be daunting figuring out which bits of kit are necessary. It’s tempting to buy one of everything you see but this can be a very expensive hobby that way! (Heck, it’s already an expensive hobby, good job it’s so much FUN!) 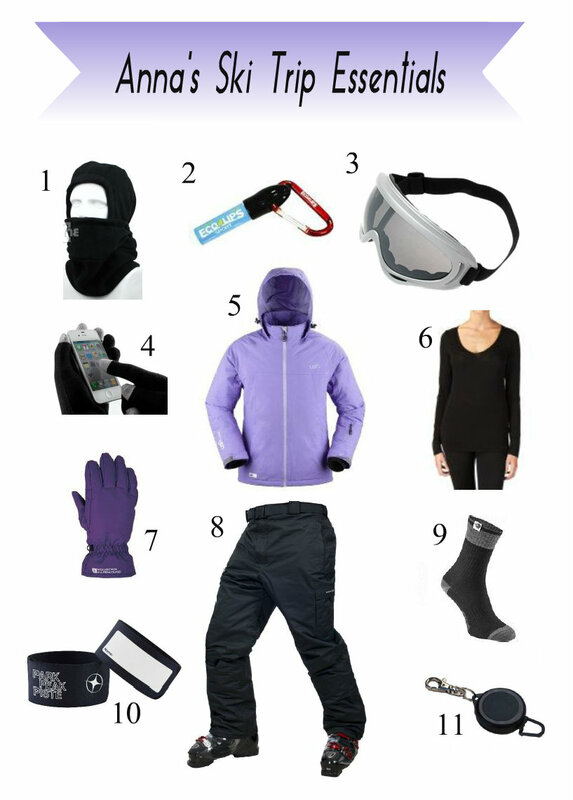 Here is a list of my skiing essentials to help guide your purchases! 1. Ski Snood/Balaclava – Easy to fit under a helmet and wearable in many different ways according to the conditions. 2. Sun Screen Lip Balm – Saves you from fumbling about and dropping it all the time, and saves your lips from chapping! 3. 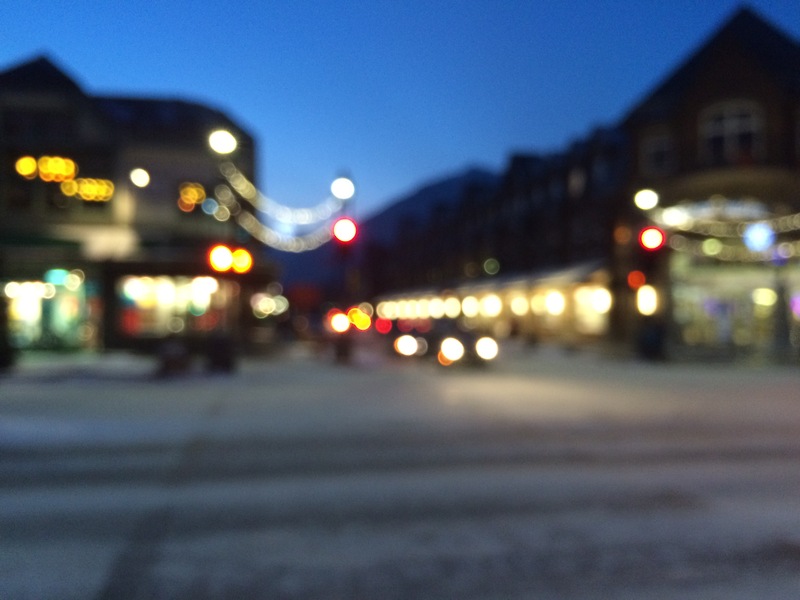 Goggles – No one likes snow in their face! 4. Touchscreen Inner Gloves – You know you’ll want to snap a chair lift selfie, do it without getting frostbite! 5. Ski Jacket – Warm and waterproof, this truly is an absolute essential! 6. Merino Wool Thermals – The wool is super warm and naturally antibacterial too, which stops you getting sweaty and stinky! 7. Ski Gloves – Waterproof gloves are a must, wet, soggy inner gloves are horrid! 8. Salopettes – Keep your bum and legs warm and dry! 9. Merino Wool Ski Socks – Nobody likes cold toes but you don’t want to add too much bulk of your boots won’t fit properly. 10. Ski Ties – Makes transporting your skis to and from the pistes a doddle, and stashing them while you grab a hot drink too! 11. Lift Pass Holder – Makes it so simple to whip out your pass and get on those slopes! … Skis, boots and poles would certainly come in handy, but as I always hire mine in resort I’ve left them off the list! If your rental company don’t supply a helmet make sure you get one, better safe than sorry, kids!